At least 16 people were killed during Haiti’s national Carnival parade in an accident involving an electrical shock on a float. 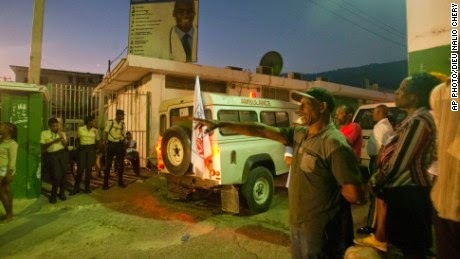 An “accident following an electrical shock” happened on a parade float in Port-au-Prince at 2:48 a.m. ET Tuesday. The government spokesman did not elaborate on the accident. Seventy-eight other people were injured. Video from the scene appeared to show a power line striking a man atop a float. Chaos erupted and revelers ran in all directions. The accident happened just hours into Mardi Gras, or Fat Tuesday, the culmination of pre-Lenten Carnival celebrations. Officials canceled Carnival activities and declared three days of national mourning.